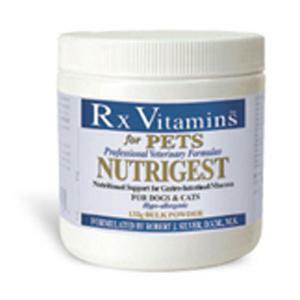 Home » » Dermoscent Essential 6 spot-on (essential oil) for dogs 44-90 lbs. 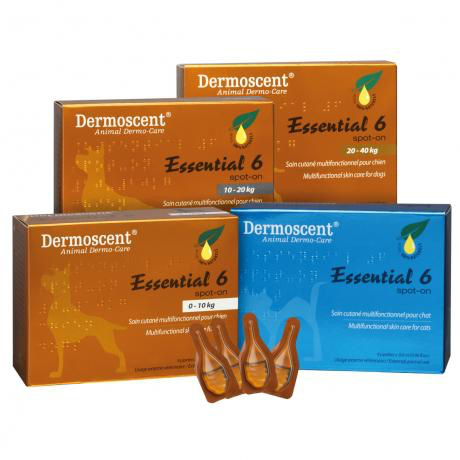 Essential 6® spot-on is the #1 spot-on dermo-cosmetic product for dogs and for cats that provides a simple and efficient solution for cutaneous imbalances (also referred to as kerato-seborrhoeic disorders or problems) and their consequences: dull or brittle hair, dry or oily coat, bad odours, etc. 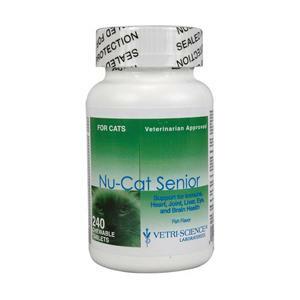 • diminish hair loss (outside seasonal moult) and support the regrowth of hair. By way of a simple action requiring 2 seconds per week, Essential 6® spot-sn enables to decrease shampoo frequency and substitute daily in-take of essential fatty acids (omega 6-3). Break and remove the snap-off top of the pipette by folding it once forwards and once backwards, move the hairs of the animal aside and apply all of the Essential 6® spot-on, between the shoulders of the animal, on one or two spots, directly on to the skin. 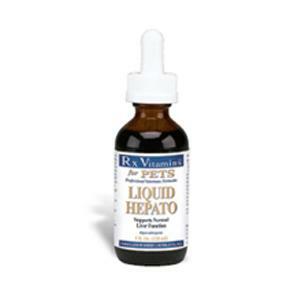 To achieve an optimal and lasting result, it is recommended to start with an initial treatment of 2 consecutive months, applying one pipette per week, followed by 1 pipette every 2 weeks as regular and continuous treatment, as long as necessary. 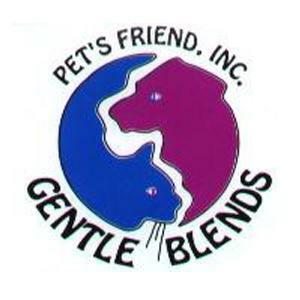 Do not massage; a bio-diffusing agent will allow a homogeneous distribution of the product all over the body of the animal. It is recommended not to bath the animal during the 2 days before and the 2 days following the application. No incompatibility in case of a combined use with any of the other «spot-on» products. In case of animals with long or abundant hairs, brush the animal’s coat the day after the application, to remove any potential residues of the product and to allow an optimal distribution on the skin.